For the New Zealand rugby league footballer, see Kurtis Rowe. Curtis Rowe, Jr. (born July 2, 1949) is a retired American basketball player. 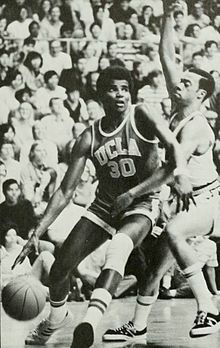 A 6'7" forward from UCLA, Rowe was drafted by the Dallas Chaparrals in the 1971 ABA Draft and by the Detroit Pistons in the first round of the 1971 NBA Draft. Rowe opted to sign with Detroit and the NBA. Rowe played eight seasons (1971–1979) in the National Basketball Association as a member of the Detroit Pistons and the Boston Celtics. He averaged 11.6 points per game in his career and appeared in the 1976 NBA All-Star Game. At UCLA, he was a member of three national championship teams coached by John Wooden: 1969, 1970 and 1971. He was one of only 4 players to have started on 3 NCAA championship teams; the others were all teammates at UCLA: Lew Alcindor, Henry Bibby and Lynn Shackelford. In 1993 Rowe was inducted to the UCLA Athletic Hall of Fame.